How to Convert Audible AA Files to MP3 Format? Where we can get Audiobook AA Files? Most of us like to download Audiobooks from Amazon, iTunes. To me, I prefer audible.com, who mainly sells audiobooks, radio and TV programs, and audio version of some magazines and newspaper. 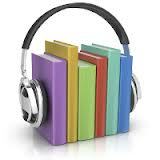 Actually, it's the exclusive supplier of online/Internet audiobook content to iTunes and Amazon. Audiobooks we downloaded from iTunes music store are encoded as M4A or M4B format, which covered by Apple's Fairplay Digital Right Management. DRM protection also exist when we get Audiobook files from audible.com. Audible's .aa file format encapsulates sound encoded in either MP3 or the ACELP speech codec, but includes unauthorized playback prevention by means of an Audible user name and password, which can be used on up to three computers at a time and limited to play on selected mobile devices. Is it possible we can bypass the DRM on audible aa files and play it with limitation? 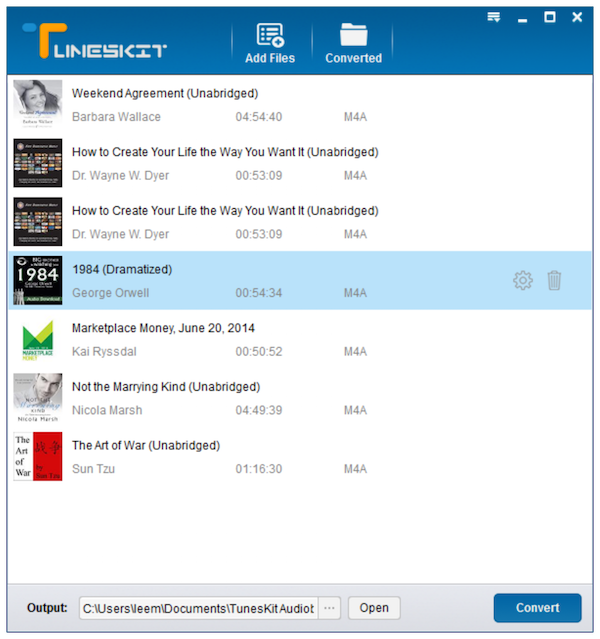 TunesKit DRM Audiobook Converter can perform as an audiobook converter for Windows or Mac and convert AA, M4B, M4A audiobooks to MP3 with DRM free. How to Convert AA Audiobooks to MP3 Format? How TunesKit AA to MP3 Converter works to remove the DRM protection? Actually, TunesKit can only works with iTunes, which means you have to import the Audible aa/aax files to iTunes library before converting with TunesKit Audiobook Converter. Or you can also connect your audible account with iTunes account before downloading the AA files, then everytime you download an audiobook from Audible.com, it will be shown automatically in iTunes library. 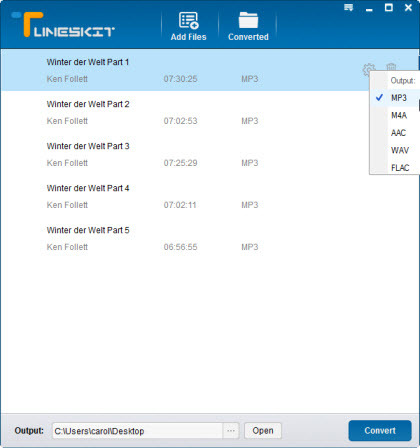 TunesKit DRM audiobook converter also supports all common use audio formats to convert Audiobook, such as MP3, WMA, AAC, WAV, FLAC, M4A. Click "Add Files" button, and you can choose aa files from iTunes library. Click "gear" icon list, you will get a list of audio format in the menu. Choose MP3 format you want to convert to. Click "Convert" button, then TunesKit AudioBook Converter will start to convert the AA audiobooks soon to MP3 format. The conversion speed is very soon, nearly 30x faster speed. After the conversion finished, you can play the MP3 audiobook files everywhere you want. * How to convert iTunes M4P Audio to MP3? 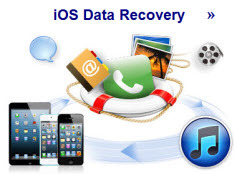 * How to remove drm protection from Apple music? * How to transfer iTunes music to Google play music?